The Parisian student revolts of May 1968 shook the country—and the European continent—to its foundations. In a tradition-obsessed nation where the old-guard bourgeoisie had spent decades oppressing youthful unrest, every flavor of rage suddenly had a voice. Hill Gallagher is there—a brash young intellectual grown tired of pretending that the world doesn’t make him angry. Despite the protests of his screenwriter father, he becomes involved in the movement, joining in on protests with the fervor of a man who isn’t afraid to destroy his country—or his family. 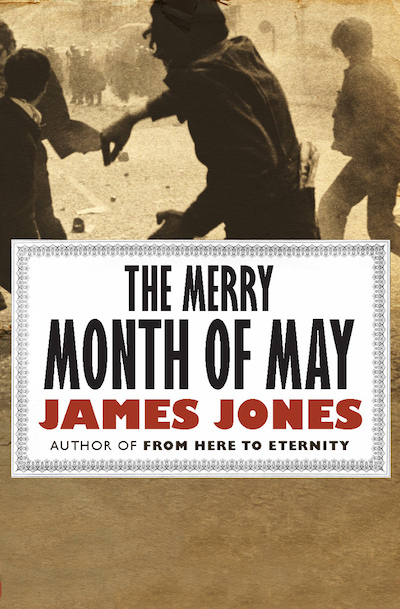 In The Merry Month of May, James Jones draws on his own experiences living in Paris and witnessing the 1968 revolts firsthand to create an unforgettable portrait of a society at war with itself—and torn apart by change. This ebook features an illustrated biography of James Jones including rare photos from the author’s estate.